It is with great sadness that we have learnt of the passing of Pam McConnell, Councillor of Toronto (Canada). Many UCLG members will remember Councillor McConnell for her commitment and leadership in social justice and gender equality, issues promoted for and by our organization. She was also a valued member of our Executive Bureau. 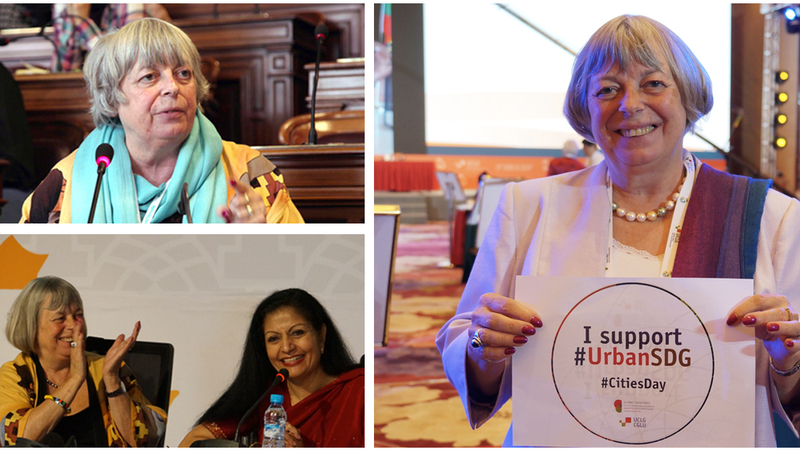 As an active member of the UCLG Standing Committee on Gender Equality, Councillor McConnell participated in “Women, Leadership and Development” at the Paris City Hall in 2015, in the framework of UCLG World Council and COP 21. She always contributed to the role played by local and regional authorities in the promotion of a more sustainable and just world. Pam McConnell always argued that “getting more women in the electoral lists” would be a key step in achieving this. Pam McConnell was a credit to her city and to the international municipal movement. The great efforts she made to improve the daily lives of citizens during her many years of service in local government, as well as through her participation in FCM, are commendable and recognized by many. A long-standing friend of UCLG and an active and valued member of both the organization’s governing bodies and thematic committees, her commitment to local democracy and key issues such as social inclusion, poverty reduction and gender equality were notable, and she will be sadly missed by our family of local and regional governments worldwide.